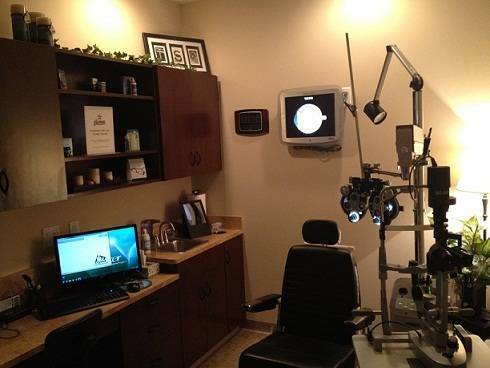 At Texas State Optical, we offer full eye examinations in our office, which serves the greater Magnolia area. Regular check-ups of your eye health and quality of vision are critical for everyone, regardless of age. A complete eye exam involves much more than determining your need for corrective lenses or verifying your eyeglass prescription. Our highly skilled optometrists, Dr. Christy Jew, and Dr. Nga Nguyen, will evaluate the overall health of your eyes, as well as assess how your eyes team and work together. A number of factors go into assessing and promoting good vision, and we take them all into consideration at TSO Magnolia. Many different procedures are conducted in order to accurately inspect your eyes and vision quality. In addition to reading a simple eye chart of letters and numbers, our examination also includes using a high-powered lens to look at your inner eye tissues. With top-notch technology and equipment, we are dedicated to the long-term health of your eyes and preservation of your visual clarity. Our optometrists at Texas State Optical follow the AOA recommendations for how often to come in for eye examinations. With a convenient office location, we make it easy for everyone in the greater Magnolia region to adhere to these guidelines. Dr. Jew and Dr. Nguyen will be pleased to serve your visual needs with a high quality, comprehensive eye exam. Adults: All adults who wear eyeglasses or contact lenses should have an annual check of their eyes. If you do not wear any corrective lenses, then it’s advised to do an eye test every two to three years, until you turn 40 years old. After that, annual exams are highly recommended, as the incidence of conditions such as presbyopia and macular degeneration increase with aging. If you have a specific health condition, such as diabetes or high blood pressure, more frequent evaluations may be necessary. Keep in mind that certain diseases can put you at higher risk for vision or eye health problems. Children: Your child’s first eye exam should be conducted as early as 6 months of age. After this, it is recommended to return for another evaluation at age 3, and then again before starting school. If your child does not exhibit any need for eyeglasses, then follow-up screenings can be done every two years throughout their schooling. Children with eyeglasses are advised to schedule eye tests on a more frequent basis. If your child’s case history has any of these characteristics, be certain to notify your family optometrist.